We live in an age where more and more people are becoming landlords. The saying ‘safe as houses’ is one which stands firm and many see buying a property as, not only a sound investment of their hard earned savings, but one which could easily bring them a healthy return. While there are some downsides to becoming a landlord, such as problem tenants, costly repairs and periods of time when the property might lay empty, these are often outweighed by the benefits that this kind of investment can bring. So, using our many years of experience as property agents in Leicester, we’ve decided to put together a ten-part landlord’s advice guide – to help you ensure things run as smoothly as possible. If you’ve purchased a buy to let as an alternative to a pension scheme, or if you’ve decided to become a landlord for the first time, then you might benefit from some advice on the kind of pitfalls to avoid and the ever changing legislation which surrounds it. 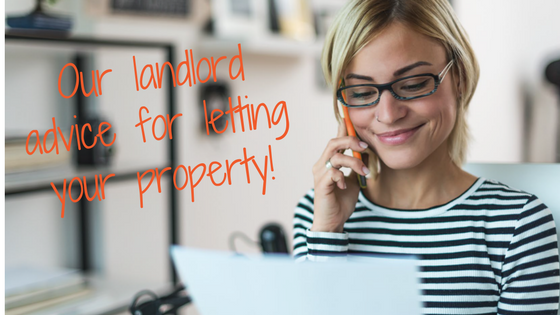 When it comes to common problems encountered by landlords, this is where getting a knowledgeable property agent on board can really help. To start with, an agent can sort out references and credit checks for potential tenants – a vital first step. They can take verbal and written references on your behalf. A letting agent should be a dab hand at preparing a tenancy agreement – a vital document which should always be completely right. A large lettings agency will have the ability to advertise extensively, using their wide customer base, which, in turn will help ensure you get the tenants you want. Your letting agent will be able to keep you up to date on government legislation and any changes which you will need to know about. They can also manage maintenance and any emergency repairs needed at your property. Before any tenants move in, the letting agent can prepare an inventory and assessment, so you have a record of what was in your property and how it looked. They can also manage the money side of things, such as rental arrears, so you don’t have the headache of chasing up late payments. Finally, a good letting agent should be able to assist with any legal matters, such as eviction, squatters or damage claims. Landlord advice at your fingertips! Keep your eyes peeled for our upcoming blog posts about renting your property and all the advice you will ever need if you’re considering becoming a landlord. And, for further information about the property management services we provide in Leicester, feel free to get in touch with us for a friendly chat today.